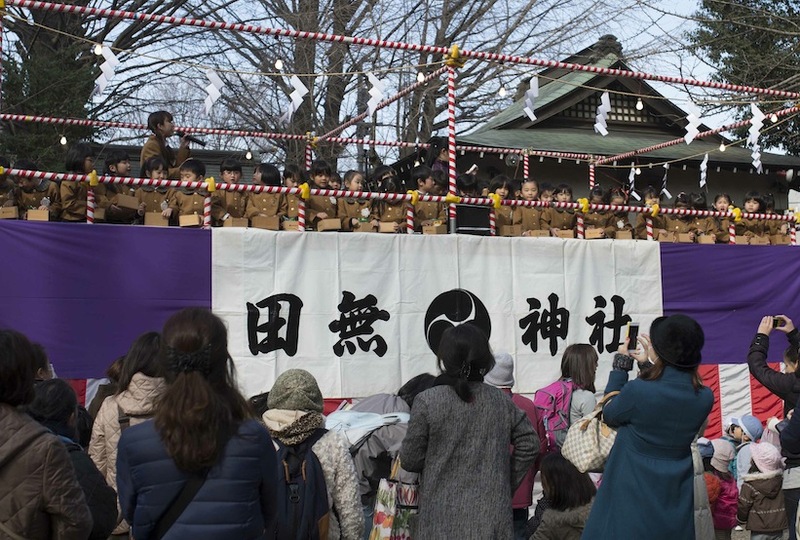 On Friday, February 3rd, we have Mamemaki Festival at Tanashi Jinja. From above a large specially-built structure, soybeans, candies, and lottery tickets are thrown to the crowd. From the ancient time, Mamemaki has been believed to be a ritual to ward off the evil, and many people come to attend Mamemaki at Tanashi Jinja. There is no fee required to attend Mamemaki, and you can bring home what you catch there. Actually, once there was a person who won one-million yen with the lottery ticket that he picked up at our Mamemaki. Please arrive at Tanashi Jinja 20 minutes before each Mamemaki starts. 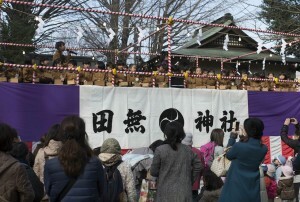 On Coming]of]Age Day (January 11), many new adults visit Tanashi Jinja in traditional outfit such as Furisode (long-sleeved kimono) or Haori and Hakama. This visit is called “Seijin-shiki Moude” which is to report to the deity that they could sucessfully become the mature members of the society. Those new adults pray and vow at Tanashi Jinja that they will behave with the awareness as adults and work hard as proud members of the society. You don’t need to reserve for Seijin-shiki Moude ritual so please come for the celebration.